The village of Portofino overlooking the marina is a jewel that attracts tourists from around the world. 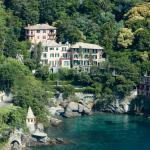 Around Portofino, hidden in the green, there are dream villas of important magnates and people of high society. 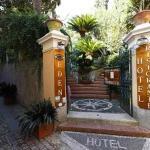 Portofino's cheap hotels are rare: 3-star hotel in Portofino have prices that are hardly comparable to other areas of Liguria. Portofino 4-star and luxury hotel offer the best in cuisine and hospitality facilities. The areas of Recco and Camogli, instead, offer cheap hotels near Portofino. Select travel dates and find all available hotels in Portofino, check out guests reviews and locate properties on Portofino city maps, book your favourite accommodation with no pre-payment. All rates are in Euros and inclusive of all taxes.